Aren't Those the Eagle's Claws? Aren’t Those the Eagle’s Claws? 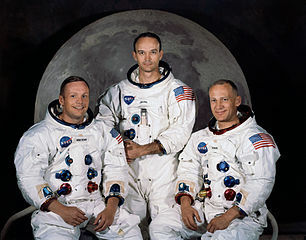 20 July, 1969: Apollo 11 Mission lands men on the Moon, in the Sea of Tranquillity. In these days of rapid technological advances and diminishing personal heroism, it is easy to forget how earth-shaking this achievement was. But anyone alive and out of nappies in July 1969 won’t forget. 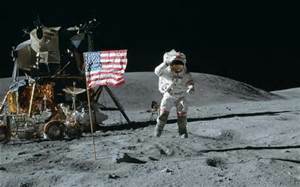 There have been a few conspiracy theories to the effect the whole thing was cooked-up in a television studio somewhere, Capricorn One-style (e.g., see the online article, 10 Reasons the Moon Landings Could be a Hoax by Josh Fox). To some, a global confidence trick is easier to swallow than a heroic gesture. How the heck would you keep that monstrous con quiet, though? And those footprints on the surface of the Moon, which you can verify from earth (with the right equipment), are they just a coincidence? Or a trick of the light? Surely they are the scratch marks of the eagle’s claws, and those of the missions since Apollo 11? The solid evidence of unmanned Luna and Ranger visits in the 1960s also corroborates the venture. Apparently, the first Moon meal was “four bacon squares, three sugar cookie cubes each, peaches, a pineapple-grapefruit drink, and coffee.”* (How dull.) The astronauts also had to take a collect call from President Richard Nixon. In 1969, the Cold War raged over many theatres on Earth. The Moon Shot was obviously a stratagem in that conflict, but it also represented a chance for humankind to put itself literally above the battle. Hence Nixon’s reference to Peace and Tranquillity. Hence the badging of Apollo 11, showing an Eagle with an olive branch in its claws. Commemorative ‘star’ on the corner of Hollywood & Vine, L.A.